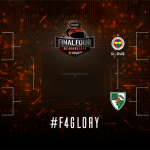 In Istanbul, Fenerbahçe used the home court advantage and won against Baskonia with a score of 82 – 73, while Žalgiris surprised Olympiacos and won 87 – 78 after overtime. 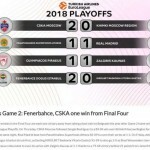 The Turkish team was motivated in its first game of the @EuroLeague Playoffs 2018 so from the beginning till the end they were leading against the guests, even though in the last two quarters Baskonia was better but the first half prevailed. After the first part of the game the result was 43 – 26, and during the first two quarters the home team was better in every aspect of the game, but in the second half Baskonia managed to get back in the game. But it was only enough for Fenerbahçe to win with less difference and not to change the direction of the whole game. The team from Istanbul had one more fan who was very important in winning their first EuroLeague trophy: Bogdan Bogdanović. The member of the Sacramento Kings visited his ex-teammates after a good season in the NBA and the fans were able to thank him. 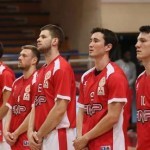 The Serbian guard got his champion ring before the game and watched the great game in the Ulker Sports Arena. And it was a very interesting game. At first, it looked like the Turkish team would score an easy win, but during the second half Baskonia showed that they are not by chance in the @EuroLeague Playoffs 2018 and that they will fight for the chance to be one of the best 4 teams in Europe. The player of the match was definitely Kostas Sloukas. The Greek guard finished the game with 10 points, 11 assists and 4 rebound. He helped his teammates to score and played like a real leader. Brad Wanamaker was the best scorer with 16 points, while James Nunnaly and Jan Vesely added 13 points each. In Baskonia, four players scored more than 10 points: Tornike Shengelia was the best one with 16 points and 6 rebounds; Rodrigue Beaubois added 13; Luca Vildoza, 12; and Matt Janning, 11. In the game between Olympiacos and Žalgiris the spectators didn’t enjoyed in the end, because they were Greek team fans, but the game was very interesting and as everyone was able to see, Žalgiris continued to show its great basketball in this season. 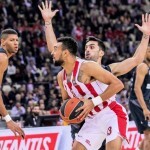 They surprised Olympiacos and took them to the overtime where they show much better teamplay and, in the end, deserved to celebrate in the Peace and Friendship Stadium. Brandon Davies was the best player with 21 points and 8 rebound, Kevin Pangos scored one point less while Arturas Milaknis finished the game with 16 points. 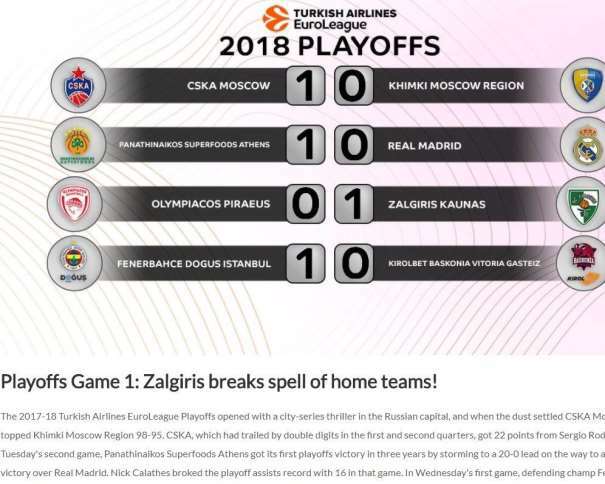 For the Greeks, “Kill Bill” had an excellent game, but that was not enough for his team to score a victory in its first @EuroLeague Playoffs 2018 game in front of their own fans. 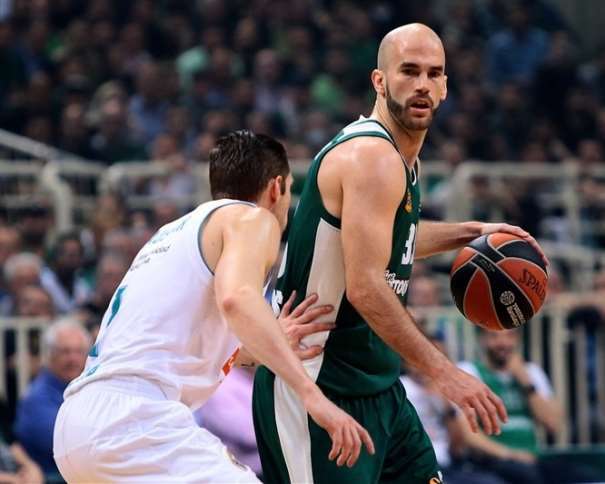 Vassilis Spanoulis finished the match with 25 points and 9 assists (index rating 20), so he assured us that the Greeks are the best with assisting (Before him, Nick Kalathes, from Panathianikos, added 16 assists and it was mentioned that Kostas Sloukas assisted 11 times, both Greeks). “Billy” didn’t have much help from his teammates: only two more players were with double-digits score, Georgios Printezis (12) and Ioannis Papapetrou (11). Nikola Milutinov had the second best index rating (13) for Olympiacos, scoring 7 points and adding 8 rebounds.